Aren't y'all surprised, year after year, how quickly the Lowcountry is thrust into Spring? The diversity of flora is one of the things that makes Charleston gardens so enchanting and what gets us thinking every spring about what to plant this year. We're making a list to take to the Charleston Horticultural Society's Plantasia event this weekend and if anyone's looking for something lush and local to place in that certain spot in your courtyard or lawn, be sure to go visit Old Town Creek County Park to find the perfect specimen. Need some inspiration before you buy? Well, there's still time to attend the Historic Charleston Foundation's Festival of Houses and Gardens and for an extra extra special treat, Mrs. Whaley's Garden on Church Street is now open to the public again! 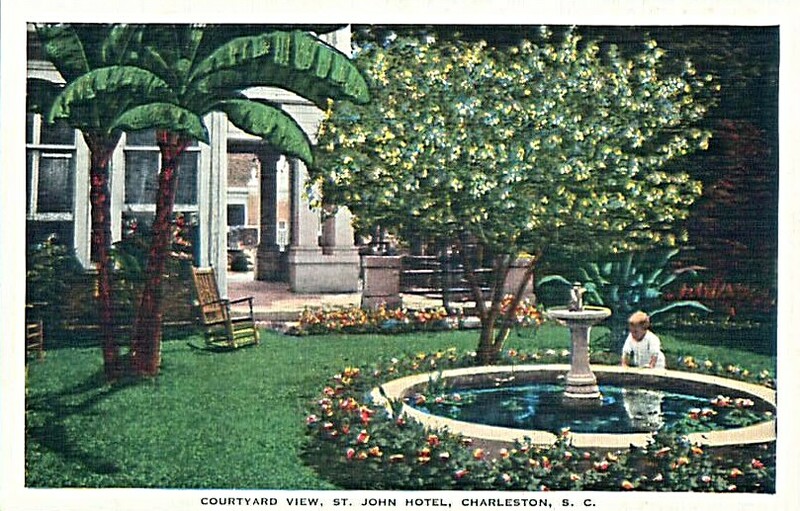 All this talk about plants has us curious, of course, about Charleston's horticultural history. It should be no surprise that there is a long list of naturalists and gardeners who contributed to Charleston's horticulture; here we give you a glimpse of just a few. How many of these 18th century botanical pioneers did you know about? In 1700, English explorer John Lawson arrived in Charleston and was commissioned by colonial authorities to lead an expedition into the backcountry of the Carolinas. He traveled 600 miles, carefully cataloguing all of the animals, trees, fruits, vegetables, and medicinal herbs he saw along the way. In 1709, he published A New Voyage to Carolina, describing the broad range of plant materials useful to settlers. The book was an instant hit in England and was translated into French and German as well. Lawson is credited with enticing a number of explorers and settlers to come to the new colonies and he himself settled a couple of colonies in North Carolina before being mysteriously killed by his friends, the Tuskeruro Indians. A few years back, a man recreating Lawson's Trek put out from here in a canoe; do y'all remember that? English naturalist and illustrator Mark Catesby followed in 1722 and spent many years conducting research for his 1731 sectioned publication The Natural History of Carolina, Florida, and the Bahama Island. The collection was reproduced and hand-colored in 160 copies; about half remain intact and you can see one at Middleton Place. When the original three volume leather bound collection went on display about 20 years ago, interest in this invaluable work was rekindled. A recent publication edited by the Catesby Commemorative Trust entitled The Curious Mister Catesby looks like a fascinating read! The Swedish 'Father of Modern Taxonomy', Carl Linnaeus, is said to have used Catesby's detailed illustrations and engravings in building his binomial nomenclature system that is still in use today. One of his students was the Scottish medical doctor and botanist Dr. Alexander Garden, who practiced medicine in Charleston for twenty years (a Loyalist, he returned to England during the Revolutionary War). Dr. Garden was a prolific writer on botany and was elected to the Royal Society of England.Garden was the first to grow the Gardenia jasminoides in America, so Linnaeus honored him by naming it after him. The heavenly scent of this "cape jasmine," a native of China, will be filling the air in Charleston gardens next month...one of our favorites! 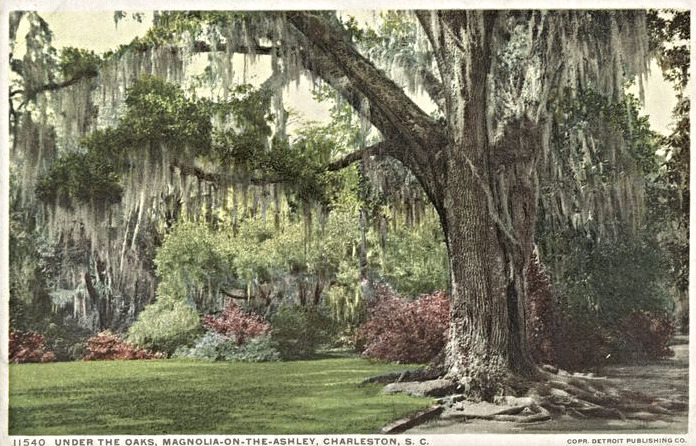 In 1796, French botanist Andre Michaux arrived in Charleston and bought about 120 acres of land, up where the airport is now, and began a nursery. Following in the footsteps of Lawson and Catesby, he discovered many new plants here. 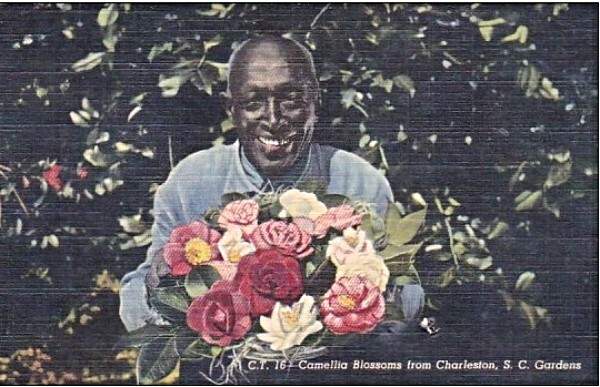 He also introduced the mimosa, crape myrtle, tea olive, Chinese tallow, and Ginkgo trees to South Carolina; many believe that he also introduced camellias to the area. Michaux shipped at least 6,000 native plants from South Carolina to France, including loblolly bay, silverbell tree, star anise, and Carolina jessamine, but many failed to survive the sea voyage or the French Revolution. His son closed the nursery in 1808 and most of its vestiges have long since disappeared. Eight years ago, the garden site on West Aviation Avenue was honored with a South Carolina Historical Marker. Mr. Michaux, we owe you one...who can imagine Charleston without crape myrtles? We hope that you love, love, love the garden where you live. But if you don't and are looking for a change, please call any of our agents at 843-577-2900 and ask their advice. There are so many gorgeous gardens and lawns in Charleston...let us find one that is perfect for you!